Limit 1 per person. Valid toward anything in the store. Full value of Gift Certificate must be redeemed in 1 visit. Promotional values expires 180 days from purchase. 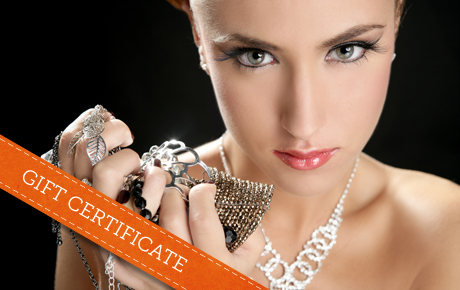 Fashion a new wardrobe with 50% off a Gift Certificate to D's House of Fashion in Oak Forest ($20 value). This Gift Certificate is valid on all of D's House of Fashion's women's clothing and accessories. In business for five years, D's House of Fashion offers a wide range of hair accessories, jewelry and more. Jewelry sets comes in a variety of beautiful styles including pearls and stones. Match any outfit with a clutch purse offered in different sizes, styles and colors. D's House of Fashion also stocks a variety of sterling silver jewelry, shoes and large handbags. With such a large range of items, D's House of Fashion is a haven for everyone's unique style.